The ultimate 3D golf swing analyzer software for leading teaching professionals. Add a new dimension to your lessons! Swinguru Pro is a wireless and markerless 3D golf swing analyzer and training system for teaching professionals who want to boost their lessons by embracing new technologies. It combines video and real-time 3D full body tracking and visualization with simple and intuitive biofeedback. It is the most comprehensive, cost effective solution in the marketplace that will add a new dimension to your business. SEE IT, FEEL IT, HEAR IT, LEARN IT. FIND THE CAUSE AND FIX IT, HELP PLAYERS LEARN SWING AFTER SWING, SHOT AFTER SHOT. YOU DON’T NEED TO HAVE AN EXTENSIVE KNOWLEDGE OF GOLF SWING, THE SYSTEM WILL GUIDE YOU AND MAKE YOU IMPROVE. 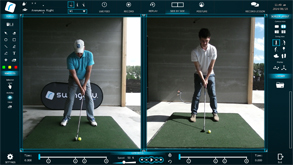 Using Swinguru Pro you can provide your students with an in depth swing analysis in real-time. 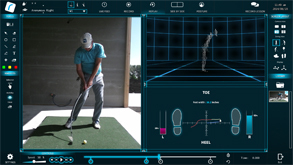 The combination of 2D & 3D visualization features combined to Swinguru 3D data make it possible to see and measure key elements of the swing at any moment, that normally would be invisible through traditional video techniques. 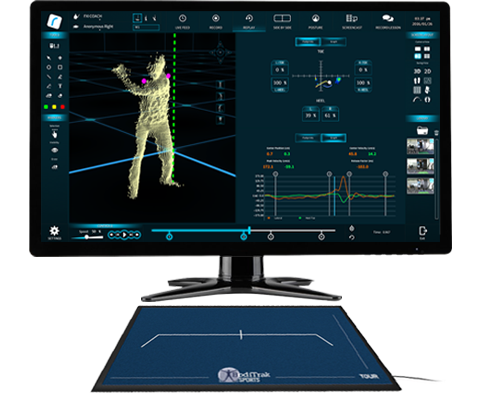 In real-time or from a single swing capture the system will provide you with a multitude of different synchronized views (3D and 2D) and display options to replay your replay and visualize your body motion. 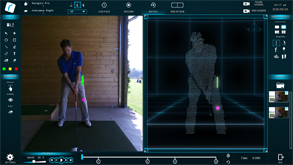 3D views available: face on, down the line, bird’s-eye (top), balance, table with biomechanic data, Foresight GC2 data. The Swinguru Balance Tracking System visualizes the invisible forces leading to an efficient swing. It instantly provides an accurate measurement of stance width; calculates the precise center of gravity throughout the swing; draws the center of gravity motion pattern during the swing; accurately reveals center of gravity distribution; and automatically synchronizes all of its data with the 2D & 3D images. Wireless, markerless and hands-free technology captures and stores each swing sequence (video and related data) as a separate file (no editing required) without having to operate the system. Automated visual helpers and manual drawing tools will allow you to focus on your student and not on your computer. Swinguru Pro makes it ridiculously easy for you to record and share video lessons (with voice-overs) with your students through the online Swinguru Academy. Extend your coaching beyond the boundaries of your training facilities. 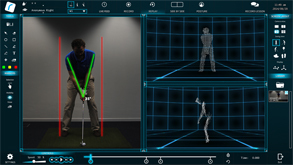 Record ideal student’s swing positions, then let him train and feel the right move by matching his ideal positions during progressive stages with live audio and visual feedback. Swinguru neuromuscular training is a unique and easy-to-use system that takes advantage of the way your body and mind learn best—visually. IT’S NOW POSSIBLE TO USE GOLF DEVICES IN COMBINATION WITH SWINGURU PRO. 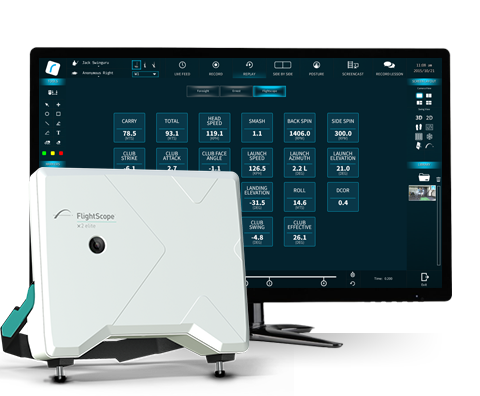 Real-time swing data is derived from instantaneous motion capture and measurements to give the golfer instantaneous complete feedback over every shot. Posture, alignment, hips and shoulders rotations, body moves, balance are all factors we track; and each of these elements is precisely analyzed by the Swinguru system. Swinguru enables accurate position data from all swings to be recorded to the players personal profile. Data from multiple sessions can be compared. Swings are recorded for ongoing analysis and improvement. Reviews provide the golfer all of the information needed, including full swing diagnostic but also swing comparison to some of the best players. The Visual-Feedback system can precisely pinpoint your weaknesses and strengths. In terms of swing technique improvement and feedback, it may actually be better than practicing outside focusing on your ball flight. Among the multitude of options: players can set up their individual account and track their improvements along their training sessions, the system stores all the results to show progress per day, week, month, … ; the user has also the possibility to replay and review his swing videos whenever he wants to and access related customized content. As for the technology involved, Swinguru specifically designed software uses advanced wireless and markerless 3D motion capture technology to automatically to record the action. Capture, replay, analyze your motion and balance. Swinguru’s infrared tracking system operates through a single 3D depth-sensing camera plugged via USB port to a Windows computer.